I thought after having been in the club for a few years now and done a few marathons, it might be time to step up to the plate and go Ultra! 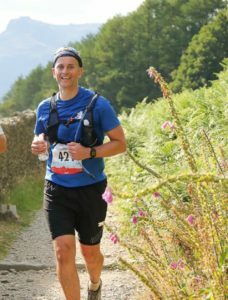 A good mate of mine from my home town up north (quite hilly there) had pestered me for a few years to do a trail race in the Lake District. Sounds nice, I thought! After a period of 18 months out with a prolapsed disc I got back in the saddle last year and decided against my better judgment that I would take my mate up on his challenge. 36 Miles, 7000 feet of elevation, and some stunning scenery thrown in. So, after a few months of “training” (longest run 22 miles #notenough) the day finally arrived – Sunday 8th July. A date now ingrained in my memory as being pretty much the toughest thing I’d ever done. We set off at 7.00 from Ambleside and within about 400 metres, it appeared the whole field had slowed to a walk as we hit the first hill. A four mile uphill slog to the first checkpoint at Kirkstone Pass. The route up to it is called The Struggle for obvious reasons! First checkpoint achieved in good time though, a quick drink stop and then a lovely descent towards Brotherswater. The sun was starting to break through now and running along the shoreline of the lake was stunning. Some of the descent was tricky with loose shingle under foot. Checkpoint 2 quickly arrived – at Glenridding on the shores of Ullswater. By this point I’d already ploughed my way through 2 litres of water so I stocked up again, filled my bottles and backpack , stuffed a load of flapjack and crisps down my neck and off we set again , getting ready for the toughest part . Stage 3 was a 700 metre ascent to Grisedale Tarn – a long slow drag, that never ever seemed to end. It was this part that I found out a few laps of Caesars Camp and Gun Hill reps didn’t really cut it when it came to hill training! I was getting overtaken by all and sundry as my legs started to feel the strain and the stones in my shoes prompted more stops than I would have liked. Finally I reached the summit to be met by a friendly marshal “straight down into Grasmere now “ he said . Lovely, a descent and a rest I thought however turns out when it comes to technical downhills I’m not very good. It was really tough keeping your footing, mini landslides kept appearing around me and if I had a pound for every time I rolled an ankle I’d be a rich man! Finally, we got to checkpoint 3, some sort of working mans club in Grasmere, again flapjack and crisps on tap, as well as flat coke – a great energy booster apparently. I tried to get my feet back in working order here but by this point I realised blisters had started to form. Not good I thought, but on we go. At least the worst hill was out of the way. Breaking out of Grasmere, I’d done about 20 miles by this point and happened very randomly to bump into Mark and Denise from the club, walking their dog. Lovely to say hi! It was then, we had to climb again up to Silver Howe and the wheels really began to fall off. In my mental preparation, I hadn’t factored in this hill at all! Not as big at Grisedale but a steeper climb and by this point the midday sun was in full effect. My mate had disappeared off into the distance and by checkpoint 4 in the Langdale Valley I was starting to feel a bit ropey. The first real seeds of doubt began to enter my mind. Already I’d seen loads of people dropping out but I didn’t want to add to the list so more flat Coke, loads more water and snacks and off I set again , with the longest stage of the day now ahead of me – around 8 miles . If I thought I felt bad before, around an hour into this stage I really thought I was in a bit of bother. A long meandering slog during which I can remember very little about except nearly falling into a river! I had to stop and sit on a rock for a good ten minutes, during which time I must have asked at least three different people who ran past, “how far to the next checkpoint?” Panic was setting in when they each told me “about 3 miles”. Self doubt now reached horrific proportions, and I really didn’t know how on earth I could do another 3 Miles, let alone another 9! The heat was now getting unbearable and to really rub salt in the wound I’d run out of water. What choice did I have though? 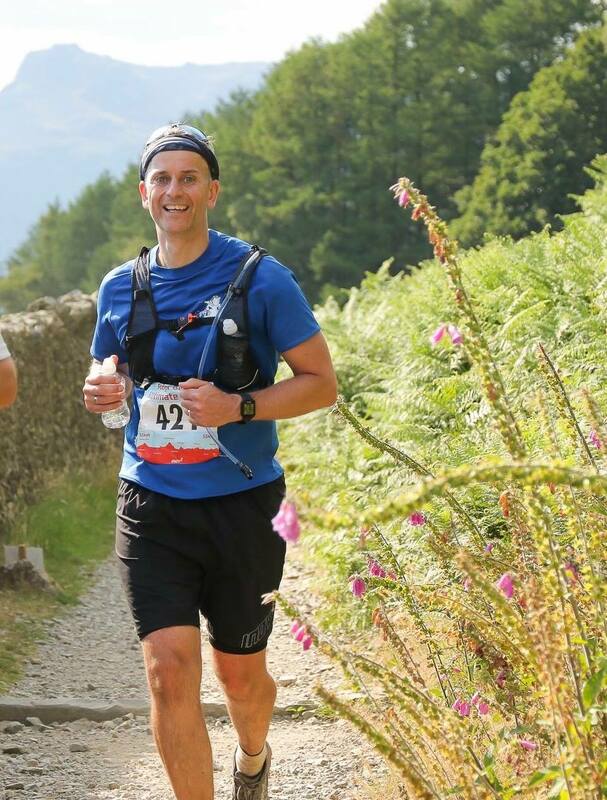 No way was I giving up, so I dragged my sorry self up and plodded on for what seemed like an eternity, until finally reaching checkpoint 5 at Langdale Primary School. I proceeded to stick my head in a freezing bucket of water, drink and eat everything in sight, but still felt totally devoid of any energy. It was then a lovely Volunteer, who probably sensed my distress, uttered the angelic words “would you like a nice cup of tea love?” Hell yes I would! It was like the nectar of the Gods! It sorted me out and was an absolute lifesaver. With a new resolve and now well rested I set off for the final six back to Ambleside. The last leg flew by and I even managed a sprint finish! I felt good coming over the line, even though my feet were on fire, and I could barely walk afterwards! It was a real sense of elation, and more relief than anything, that I’d managed to actually drag myself over the line. I then saw my mate lying prone of the floor, looking in a bit of a state, suffering from horrendous cramp. He’d been in the medical tent, which apparently resembled a field hospital from a war zone – bodies lying everywhere, suffering from cramp, heat exhaustion and all manner of other things. I felt quite pleased with myself that I was actually standing around and not feeling too bad! 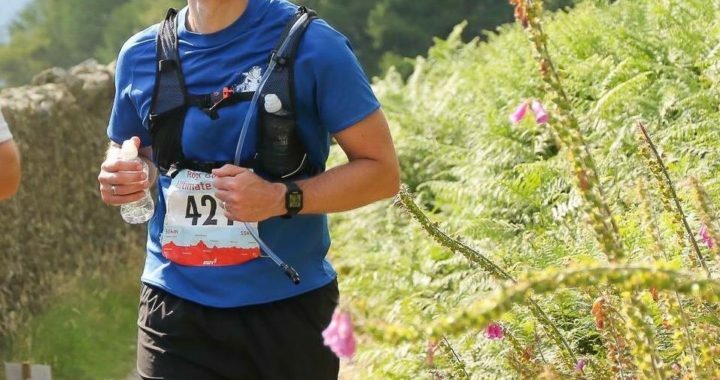 So, after 10 hours on my feet, over 10 litres of water and coke, countless jelly babies, flapjack, crisps, peanuts and the best cup of tea in the world, I’d finally done my first Ultra. It was an emotional rollercoaster, some real low points, but they were far outweighed by the high points. The next morning, I headed into Windermere to get the train back to London, and it resembled a scene from the Walking Dead! Every other person seemed to be shuffling around, barely able to walk – me included! 3 weeks later, and I still feel it in my legs and the blisters are just about recovered. Would I do it again? The next day I would have said, “Never in a million years” Now I’m not so sure!